A few years ago on a Shabbat evening at Adat Shalom Reconstructionist Congregation in Bethesda, Maryland an almost surely unprecedented event occurred. Through the magic of the Hubble Telescope, the internet, and the digital projector, congregants were able to see large images of the vast, exploding universe in which we are all suspended. 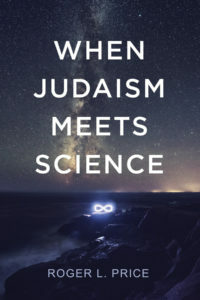 As the images were paraded one by one before the amazed eyes of the congregants, Steve Brody, an Institute for Science and Judaism Board member and astrophysicist, identified and explained them. Some were familiar; most were not.